Palladium is a member of the platinum metals group, although it is 15x more rare than platinum. Palladium has a twofold demand, both industrial and as an investment. Palladium is primarily used in catalytic converters for vehicles, however it is also in demand for use in jewelry. As an investment, palladium has a shorter history than other metals. It is prized for its rarity and limited supply with almost 40% of global output coming from a single mine in Russia. 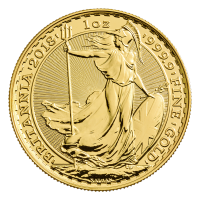 For palladium bullion to be considered pure, it must be refined to at least 9995 fine. Palladium coins are fairly uncommon, with the Royal Canadian Mint Palladium Maple Leaf being the most common coin. 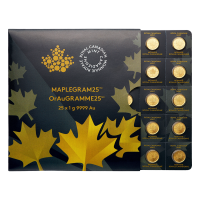 The Palladium Maple Leaf looks identical to the gold and silver maple leaf coins produced by the Royal Canadian Mint. It carries the same face value of $50 as the 1 oz gold and platinum maple leafs. 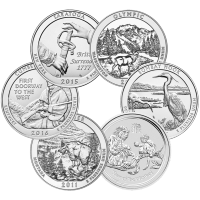 The Royal Canadian Mint first minted these coins in 2005 and starting in 2015, the Royal Canadian Mint palladium coins have the same security features as the the gold, silver and platinum maple leaf coins. 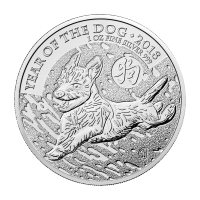 They are a popular way to invest in palladium and are only slightly more expensive than bars. 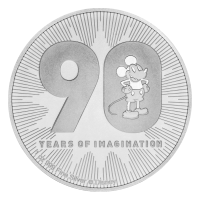 Mintage of palladium coins is far less than that of gold or silver coins. 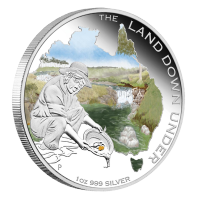 As they generally produce less than 70,000 in any given year, palladium coins have an added scarcity value. 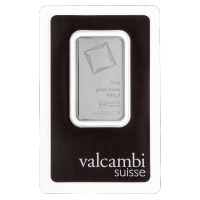 Palladium bars are the lowest cost way of purchasing an ounce of palladium, carrying the lowest premium to spot price. These bars are available from 1 g to as large as 10 oz. 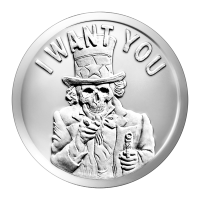 One oz bars are the most popular size and usually come in a Certicard with assay information as well as the signature of the Chief Assayer. A variety of private refiners produce palladium bars, and they vary from fairly plain to beautifully decorated. Palladium spot price is the basis for determining pricing when you want to buy palladium bullion. We price our products off the palladium spot price, using the most up to date and accurate data feed. You can view the current palladium spot price at the top of every page on our website. Palladium spot price is "live" and updated on our website every minute the global markets are open. You can order online 24/7 to take advantage of temporary price fluctuations. Want to follow the spot price of palladium but can't watch the market all the time? Set a Spot Alert. Our website allows you to set alerts at price levels that you are following, both above and below the current spot price. Simply log in or create a free account to use this feature. Once you are logged in, hover over your account number and click on spot alerts. You can set as many different palladium spot price alerts as you would like, and we keep your previously triggered alerts for your reference. Opening an account only takes a minute.